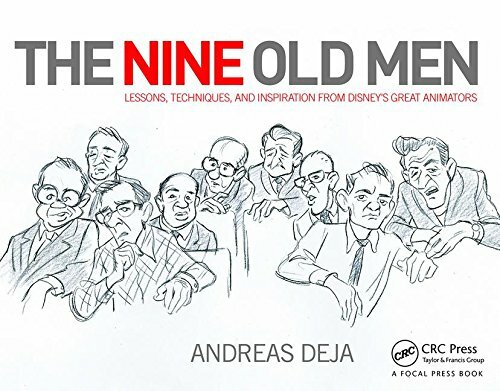 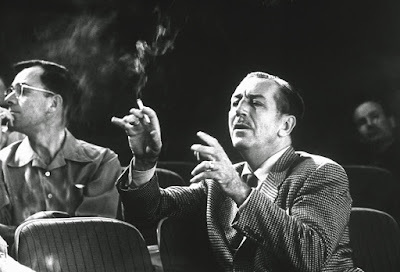 Photographer Alfred Eisenstaedt spent at least one full day at Disney Studios sometime in 1953 to document Walt Disney in action. 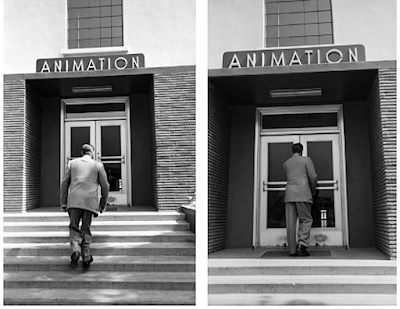 I just love the two pics above, as Walt is entering the animation building. His animators are still working on Lady & The Tramp, but he is off to a story meeting to review material for the next feature Sleeping Beauty. 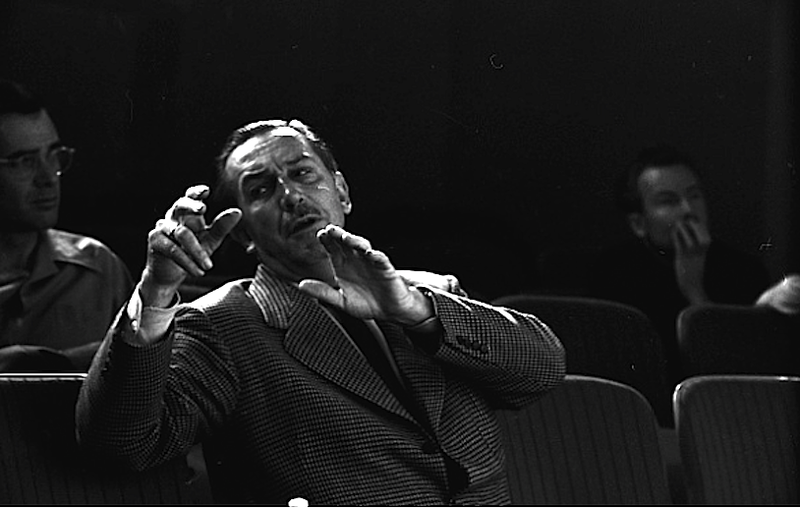 What a great shot below, I recognize director Wilfred Jackson, John Hench and Frank Thomas among others. This is a real meeting, not staged, the photographer was a fly on the wall. 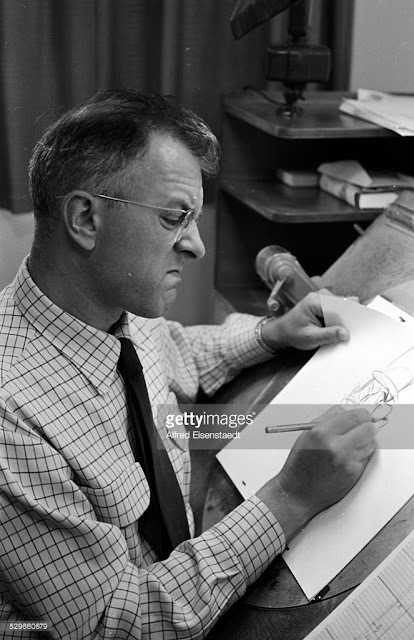 Some of these pics from Getty Images are low res, a few are high res. 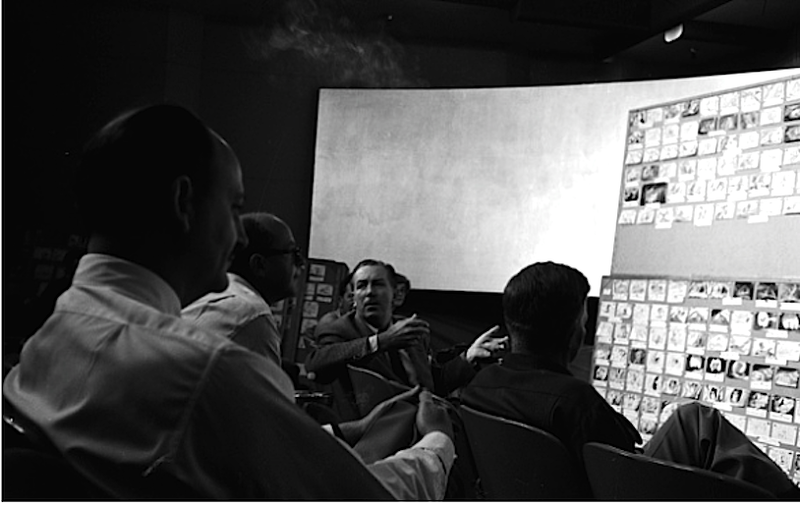 That's Frank Thomas on the left, and story man Bill Peet on the right. 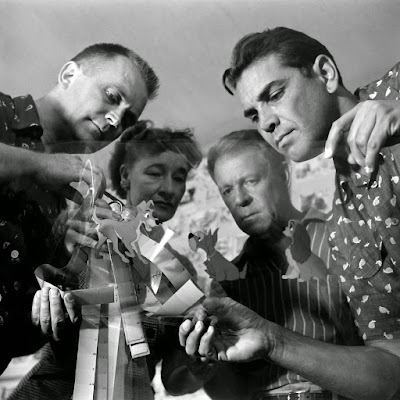 A great photo featuring Ken Anderson, background painters Thelma Witmer and Claude Coats, and also director Ham Luske. 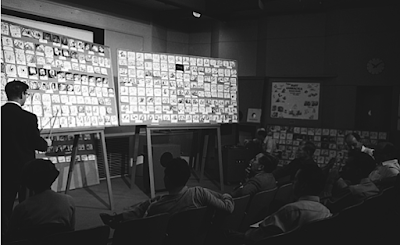 Milt Kahl was not at the meeting, downstairs in his office he is going over John Lounsbery's work. Here he is drawing the policeman outside the zoo in Lady & the Tramp. 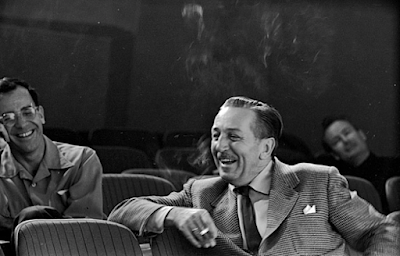 I can only hope that over time more photos like these will surface that document the daily "routine" at Disney Studios. 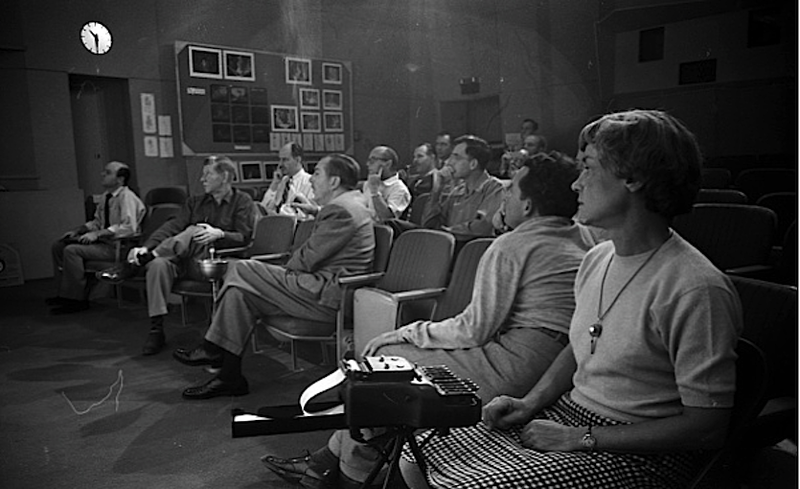 They provide a fascinating glimpse into just how these groundbreaking films were made.